The following is a list of Catholic Resource Links provided for your convenience. The Second Edition English Translation of the Catechism of the Catholic Church includes the corrections promulgated by Pope John Paul II on 8 September 1997. These corrections to the English text of the Catechism of the Catholic Church were made to harmonize it with the official Latin text promulgated by Pope John Paul II on the same date. The Michigan Catholic Conference promotes a social order that respects the dignity of the human person and serves the common good in the spirit of the Beatitudes and in accord with the teachings of the Catholic Church.Through the development and promotion of sound public policy the Conference enriches the lives of the people of Michigan.Through the administration of benefit services, it offers health, safety, security and protection for diocesan and parish employees and properties.By advocacy and service the Michigan Catholic Conference serves its Gospel-mandated mission of justice with a dedication to integrity and excellence. In June 2004, the United States Conference of Catholic Bishops' Committee on Migration and The Catholic Legal Immigration Network, INC. (CLINIC) Board of Directors resolved to make comprehensive immigration reform, with special emphasis on legalization, a major public policy priority within the Church. As part of the Church's response, a diverse group of Catholic organizations with national networks have decided to join the U.S. Catholic bishops' Justice for Immigrants: A Journey of Hope campaign designed to unite and mobilize a growing network of Catholic institutions, individuals, and other persons of good faith in support of a broad legalization program and comprehensive immigration reform. Its goal will be to maximize the Church's influence on this issue, consistent with the immigration reform principles enunciated in the pastoral letter, Strangers No Longer: Together on the Journey of Hope. To organize Catholic networks to assist qualified immigrants obtain the benefits of the reforms. 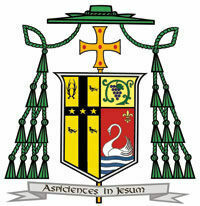 Allen Henry Vigneron was installed as Detroit's fifth Archbishop on January 5, 2009. He is the Metropolitan Archbishop for the Province of Detroit (the seven dioceses of Michigan) and Chairman of the Michigan Catholic Conference. He also serves as Chairman of the Board of Sacred Heart Major Seminary and SS. Cyril & Methodius Seminary in Orchard Lake. The Diocese of Grand Rapids was established May 19, 1882. The Diocese originally consisted of much of the northern and western part of the Lower Peninsula. Since 1971 the Diocese comprises 11 counties of Western Michigan: Ionia, Kent, Lake, Mason, Mecosta, Montcalm, Muskegon, Newaygo, Oceana, Osceola, and Ottawa. The total square miles is 6,795. The total population of the 11-county area is estimated at 1,283,717 (2000 U.S. Census) and the Catholic population at 162,670. The Catholic Diocese of Kalamazoo was founded on July 21, 1971. The Second Vatican Council called for the creation of smaller diocese so that bishops could be more available to the people they serve. Five Michigan bishops, the National Council of Catholic Bishop and the Holy Father reviewed a three-year study of existing boundaries and suggestions of realignment of or development of new dioceses in Michigan. This resulted in the creation of two new dioceses in Michigan: The Diocese of Gaylord and the Diocese of Kalamazoo. The Diocese of Kalamazoo encompasses 5,337 square miles of nine counties in southwest Michigan: Allegan, Barry, Van Buren, Kalamazoo, Calhoun, Berrien, Cass, St. Joseph and Branch. The Diocese of Lansing was established in 1937. The 6,218 square miles of the Diocese include ten counties in southeastern Michigan: Clinton, Eaton, Genesee, Hillsdale, Ingham, Jackson, Lenawee, Livingston, Shiawassee and Washtenaw. Major cities are Manchester, Lansing, Adrian, Ann Arbor, Flint, Jackson, Owosso, and Ypsilanti. Founded in 1857, the Catholic Church of the Diocese of Marquette, encompasses the whole Upper Peninsula of Michigan. The Diocese of Saginaw is a faith community consisting of 11 counties in the east central part of the Roman Catholic Province of Detroit. Established by papal decree in June of 1938, the diocese was formed from portions of the Diocese of Grand Rapids and the Archdiocese of Detroit. The 6,955 square miles of the diocese includes 11 counties in eastern Michigan: Arenac, Bay, Clare, Gladwin, Gratiot, Huron, Isabella, Midland, Saginaw, Sanilac and Tuscola. The organizational structure of the Catholic Church in the United States consists of 33 Provinces with as many Archdioceses (Metropolitan Sees); 149 Dioceses (Suffragan Sees); the Military Archdiocese; four Eastern-Rite jurisdictions immediately subject to the Holy See in Rome. On March 29, 1882, Father Michael J. McGivney officially chartered the Knights of Columbus as a fraternal benefit society. The Order is still true to its founding principles of charity, unity and fraternity. Knights of Columbus are Catholic men, 18 years of age and older, who are committed to making their community a better place, while supporting their Church. Being a Knight is more than camaraderie; it is being involved with your community; supporting your local Catholic Church, while enhancing your own faith; and protecting and enhancing your family life. Since its humble beginnings more than 125 years, the Knights of Columbus has grown from several members in one council to more than 13,000 councils and 1.7 million members throughout the United States, Canada, the Philippines, Mexico, Poland, the Dominican Republic, Puerto Rico, Panama, the Bahamas, the Virgin Islands, Cuba, Guatemala, Guam and Saipan. For more information about the Knights of Columbus in Michigan, visit the website of the Michigan State Council of the Knights of Columbus. St. Michael Regional Academy is a grassroots effort to re-open a Catholic High School serving students in the Emmet, Charlevoix and Cheboygan County areas. 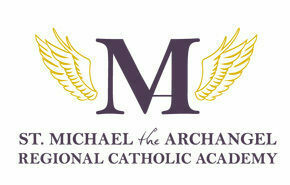 The mission of St. Michael's is to inspire students to live a Christ-centered life by providing excellent academic and authentically Catholic education that challenges students' minds, renews their hearts and strengthens their character, enabling them to live lives true to gospel values. 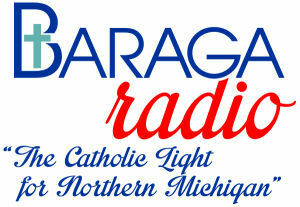 Baraga Broadcasting, Inc. is an independent, non-profit organization dedicated to bringing Catholic Radio to the Diocese of Gaylord. Currently, Catholic Radio may be heard in the Charlevoix/East Jordan/Boyne City areas on WTCK 90.9 FM. Outside of those areas, special radios may be purchased to extend the signal. The goal is to have Catholic Radio available throughout the diocese within three years. The mission of Baraga Broadcasting is to speak in a contemporary and non-commercial radio voice, offer the good news of Jesus Christ from the richness of the Roman Catholic tradition and its present scholarship, and to reach out in an interesting, educational, and entertaining approach to listeners living in an often complex and confusing world. Catholic Relief Services (CRS) carries out the commitment of the Bishops of the United States to assist the poor and vulnerable overseas. CRS promotes human development by responding to major emergencies including natural disasters such as hurricanes and earthquakes, and also works to fighting disease, poverty, and nurture peaceful and just societies around the globe. CRS operates the Operation Rice Bowl Program which many parishes participate in each Lent. Our diocesan sister relationship with the Diocese of Matagalpa was facilitated through CRS' Global Solidaity Program. NCCL is a Catholic association dedicated to advancing the Church's teaching mission in the United States, especially by promoting excellence in catechetical leaders. The FDLC represents Roman Catholic Diocesan Offices of Worship and Liturgical Commissions throughout the United States. Site for information and registration instructions for the University of Dayton Internet Study Program which consists of 6-week long theology mini courses. The original version of the New American Bible (NAB) was published in 1970. The New Testament was revised and published in 1986. The Book of Psalms (the Psalter) was revised in 1991. A revision of the Old Testament, excluding the Psalter, is was published in 2005. Therefore, the most recent editions of the NAB include the 1970 Old Testament, 1991 Psalter, and 1986 New Testament, though some older editions are still in print. Besides the various versions of the Scriptural text, different publishers have produced editions of the NAB. Each publisher has added other material, such as photographs, maps, devotions and prayers, and reference matter, to the basic text.